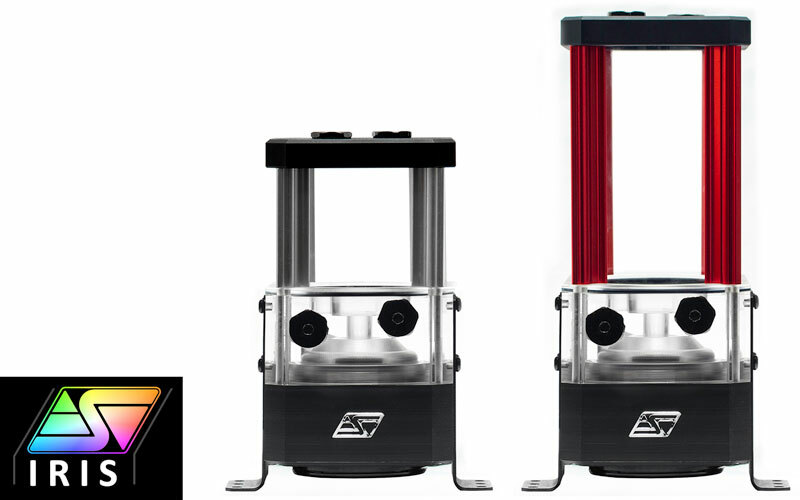 Following the success of the original Maelstrom D5, Swiftech is proud to release its brand new flagship Pump and Reservoir combo: the Maelstrom D5 V2. Like its predecessor it comes preinstalled with the award winning MCP655-PWM (D5) pump. 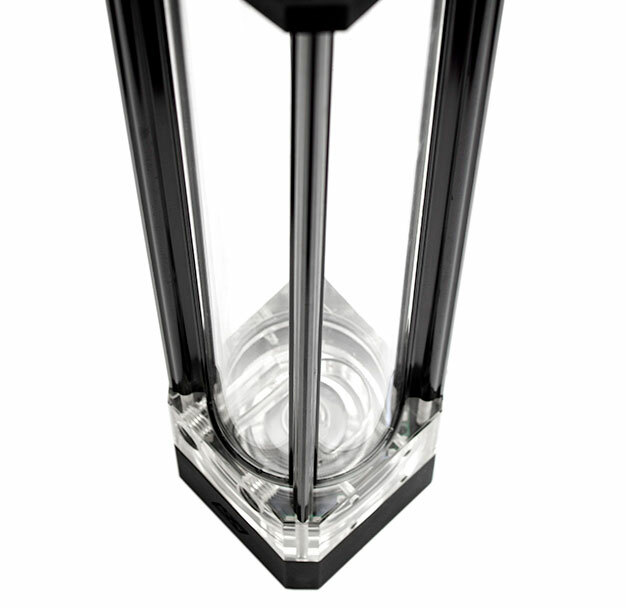 The new Maelstrom D5 V2 reservoir features its unique smooth single profile square design and now also uses a durable crystal clear tempered glass tube at its core. 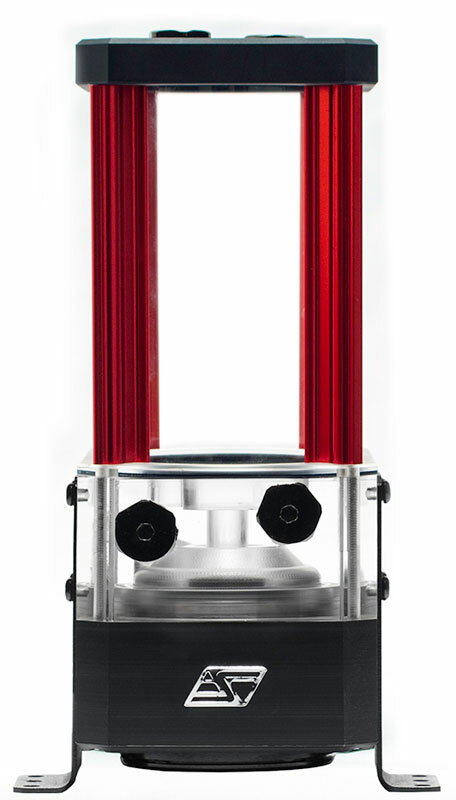 It is still available in 4 different lengths: 50 mm, 100 mm, 200 mm and 300 mm. 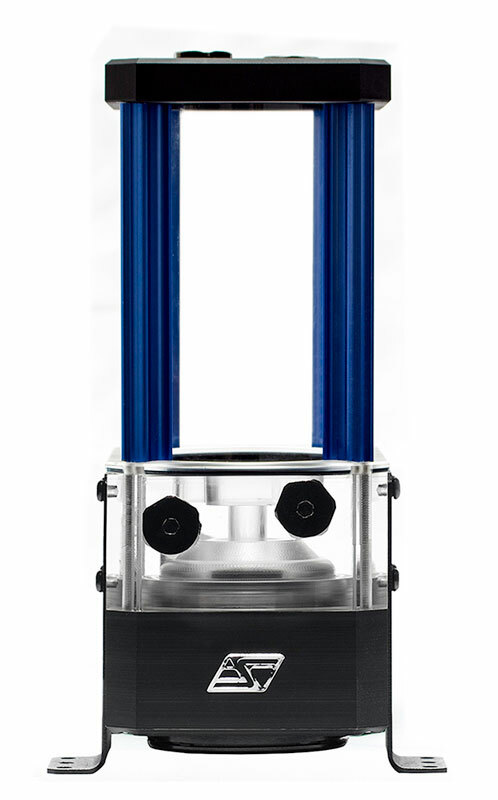 In addition to this wide range of sizes, the Maelstrom D5 V2 can now be customized with a choice of 6 Anodizing colors for the custom extruded aluminum trims. Although heavily inspired by the customization options we offer through our Heirloom Events, the Maelstrom D5 V2 is the first Swiftech product available all year with this many options (24 variations to be precise)! 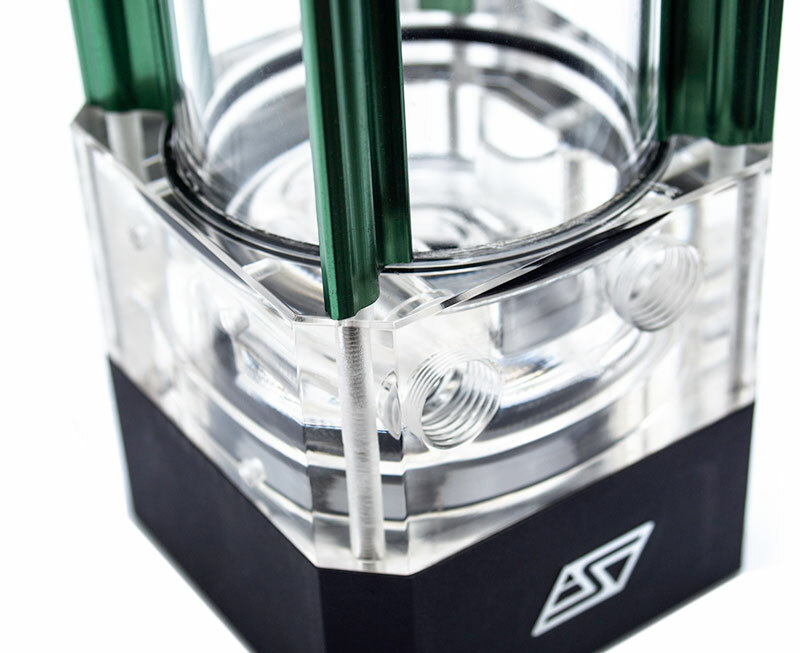 The Maelstrom D5 V2 reservoir also comes with built-in addressable RGB lighting compatible with Swiftech's IRIS Technology (Swiftech's Iris Eco controller available separately) which is a great way to bring life in any custom build. 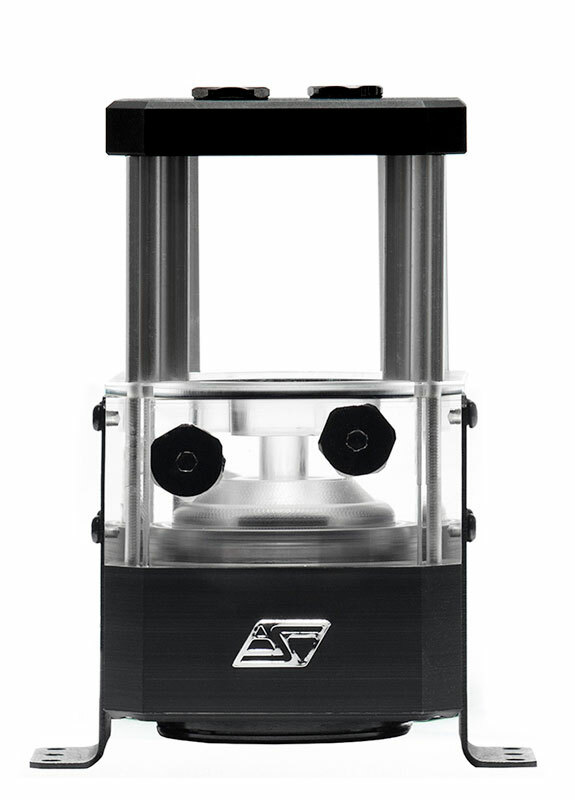 Installation of the reservoir into the chassis is handled by Swiftech's custom mounting brackets which are also included in Swiftech's MCP655/D5 pump tops. 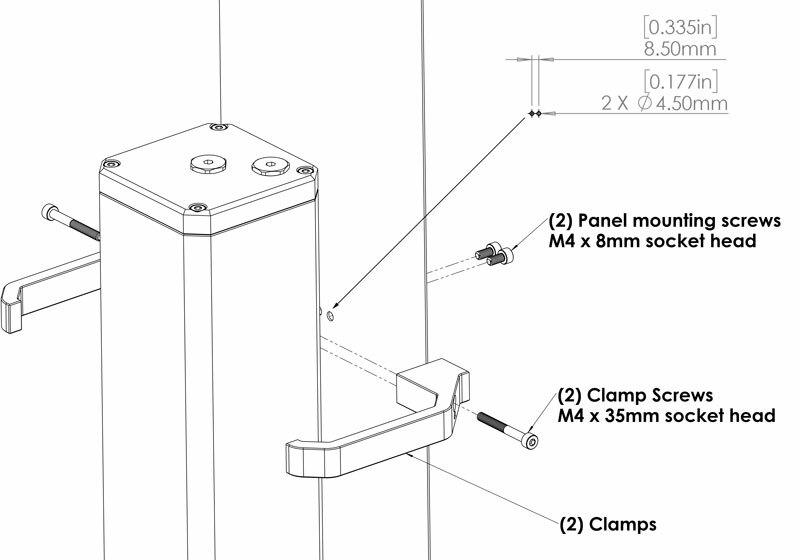 These innovative and modders-oriented bracket allows for both bottom and side panel mounting. System fill up is done through one of the two top G1/4" ports (2x plugs are included). The other port can be used as a return line port to give modders the flexibility of routing the most complex cooling loops, just plug the other return port with the included plug. 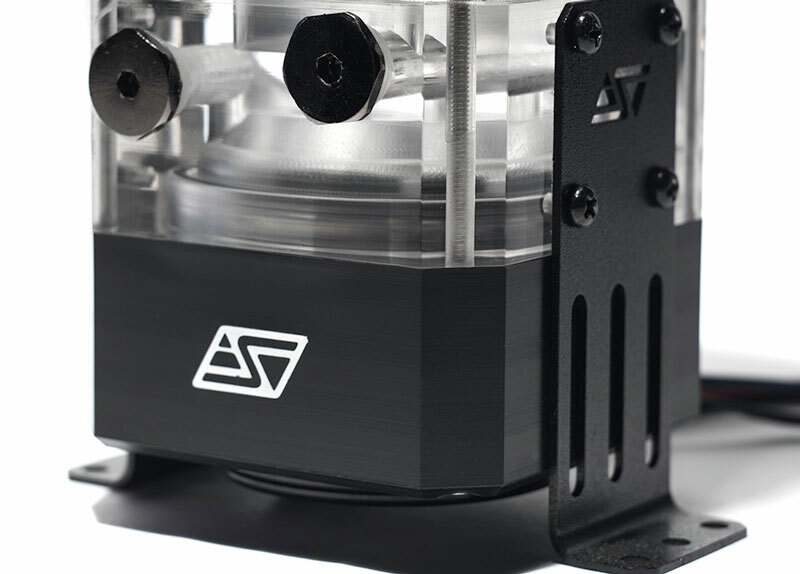 Swiftech's choice of pump for Maelstrom D5 is the award winning MCP655 / D5 PWM pump which has been the "go to" choice for Gamers, Overclockers and Modders alike. The Laing/Xylem D5 pump is a high reliability, high pressure industrial pump, featuring a 50,000 hour MTBF. Such reliability is enabled by its motor design, which contains only one moving part: the magnetically driven spherical impeller spins on a single ceramic bearing, thus extending the life of this pump beyond existing standards. The MCP655-PWM is completely plug-and-play, and connects directly to the computer power-supply with a standard 4 pin power Molex connector. It also features speed control through direct PWM connection to the motherboard. Built-in addressable RGB lighting, compatible with Swiftech's Iris Technology (Swiftech Iris Eco V2 controller sold separately), also compatible with most high-end motherboards with support for addressable RGB LED's (Swiftech Mobo adapter sold seperately). 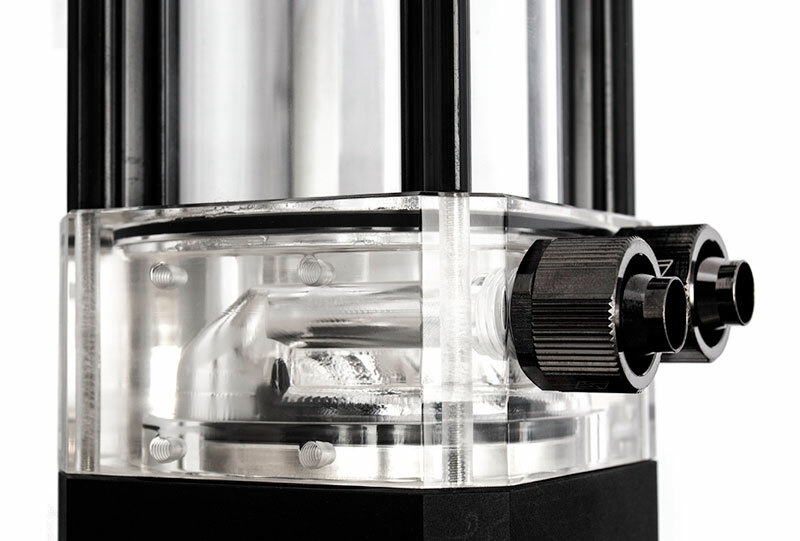 Installation of the reservoir into the chassis is handled by Swiftech's custom mounting brackets which are also included with Swiftech's MCP655/D5 pumps and pump tops as well as with all Maelstrom D5 Reservoirs. These innovative and modders-oriented bracket allows for both bottom and side panel mounting. Important warranty information: the warranty on these products is 2 years. 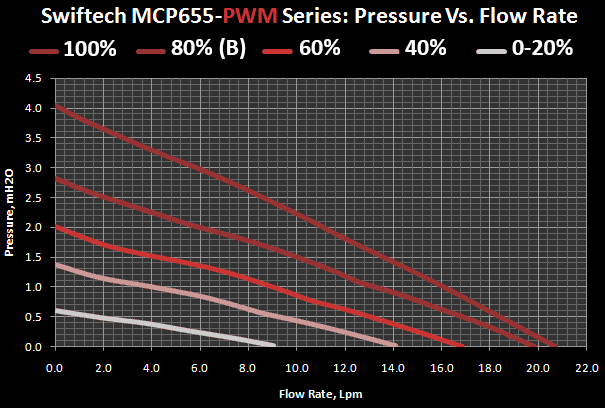 Top Performance housing for MCP655 and Xylem/Laing D5 pumps. Including: housing, installation screws and (2) G1/4 plugs. 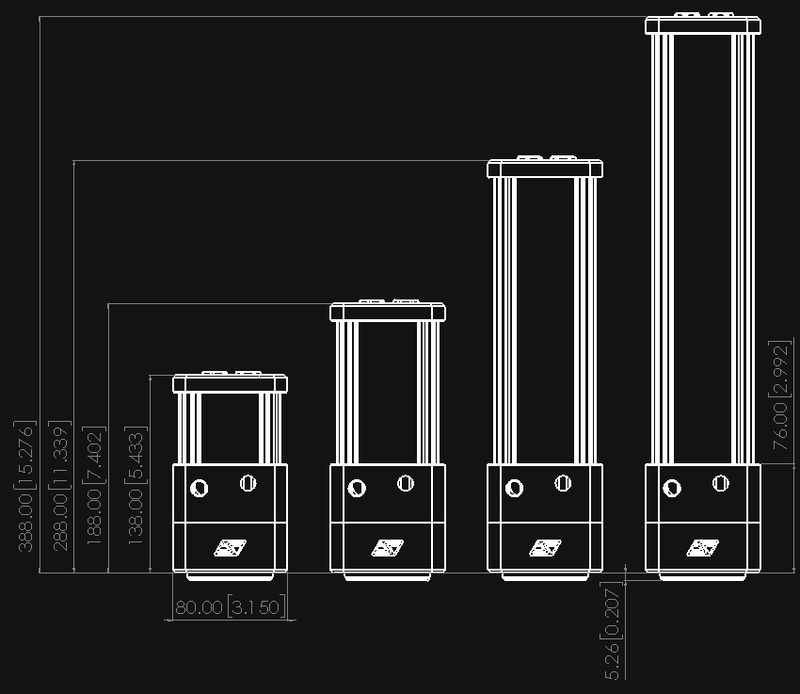 Swiftech/Xylem/Laing MCP655, MCP65X or D5 series 12 VDC pumps.